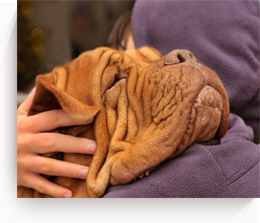 Pets hold a special place in our hearts, which makes their passing that much more difficult. As people who have experienced pet loss both personally and professionally, we know how challenging it can be to navigate a grief journey that many dismiss as insignificant compared to the loss of a person. We hope the following resources will assist you during these difficult times. If there is anything else we can do to make the process easier for you, please don’t hesitate to contact our office.